It's been almost 20 years since the last BMW 8 Series; the two-door coupe traces its history to the Frankfurt Motor show in 1989 and was BMW's technology showpiece of its time. Dubbed the 'E31', it was powered by 5.0-litre V-12 that produced 300 horsepower. Over its lifetime it sold just over 30,000 and more than two-thirds were fitted with the V12. Today the 8 Series, which ended production in 1999, is considered one of the boldest 'Beamers' ever produced and its pop-up lights is one of its most enduring features. The number 8 has always been special to BMW - think Z8 and i8 - and its latest 8 Series incarnation promises luxury and performance enough to tempt buyers away from the Porsche 911, Bentley Continental GT, Lexus LC and Mercedes S Class Coupe. On first sight it is a real head-turner with a low slung design, 20-inch alloy wheels, slim, shallow LED headlights and a roofline flowing so elegantly there is no driveway or kerbside which would not be enhanced by its presence. Inside, it is much like every other high-end coupe BMW makes: luxurious and understated. 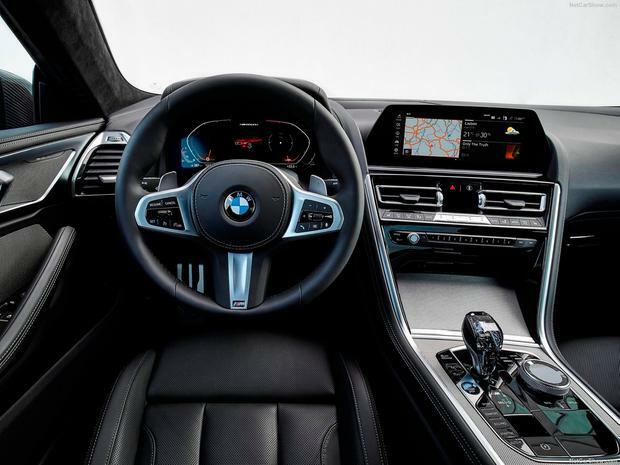 The BMW Professional iDrive, the latest version of the manufacturer's infotainment system, comes as standard and comprises a fully digital instrument cluster with a 12.3-inch display. The aim of the revised system is to simplify it and now most functions can be controlled by touching and swiping the smaller of the two screens - and overall it is more responsive and intuitive to use. Two models are on offer, one petrol and one diesel engine from launch. The 320hp 3.0-litre diesel 840d delivers an impressive 0-100kmh in 4.9sec, 6.2 litres per 100km and emits C02 at a rate of 160g/km (€570 motor tax). The flagship M850i model is powered by a 4.4-litre twin-turbo V8 that produces 530hp and results in a 0-100kmh time of just 3.7 seconds. Both versions feature BMW's xDrive four-wheel drive system. At 4.8 metres long and weighing in at 1905kg, the 8 Series would appear to be more grand tourer than luxury sports car, but looks can be deceiving. Behind the wheel, it's breathtakingly powerful and shockingly fast. Off the motorway, flicked into Sport-plus mode, it handles with the agility of an Olympic athlete. BMW has even thrown in the odd crackle and pop to enhance the experience, but, trust me, the novelty wears thin very quickly. On the track, however, it is blisteringly loud and after just one lap at the old Portuguese Grand Prix circuit at Estoril, near Lisbon, it becomes apparent just how capable this car is. The 4.18km-long track is relatively twisty but lap after lap, the car's handling, power and suspension are truly impressive, yet staggeringly easy to handle. In fact, the faster you go, the happier it gets. 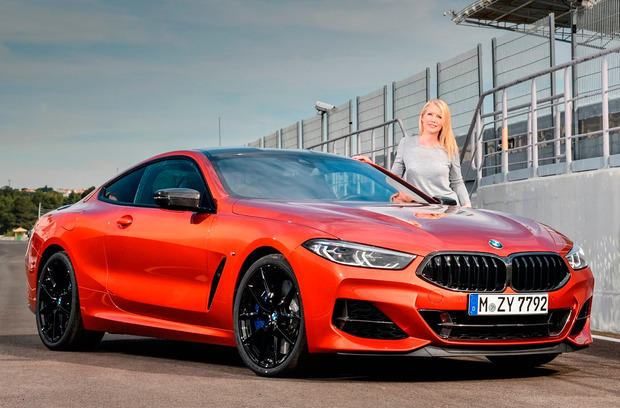 BMW is keen to stress the 8 Series is not a coupe version of the 7 Series, which is not a driver's car, much more a car to be driven in. In contrast, the 8 is all about the drive. Arriving here next month, the flagship model will be priced from €164,740 OTR for the petrol, while the diesel will start from €116,740. As expected you pay at the pumps for performance of this calibre, the M850i returning 9.8l/100km and 224g/km of CO2, so it comes with motor tax of €1,200 yearly. Standard spec includes leather upholstery, sports seats in Vernasca leather, the slimmest LED headlights on any BMW model, adaptive M suspension with electronically controlled dampers, heads-up display, active park distance control and live cockpit professional. The 8 costs a lot, yes, but is it worth it? This is a sports car, a performance car, a car to truly enjoy driving. It sits in a niche of a niche in the luxury sports coupe segment, somewhere between Gran Coupe and full-blown sports car.